Myers sold his first spec script, K-9, in 1987. Since then he's written nearly 30 projects for every major Hollywood studio and broadcast network. His film writing credits also include Alaska and Trojan War. In 2002, he began teaching screenwriting in his spare time. He won the UCLA Extension Writers' Program Outstanding Instructor Award in 2005 and currently teaches at the University of North Carolina in Chapel Hill. 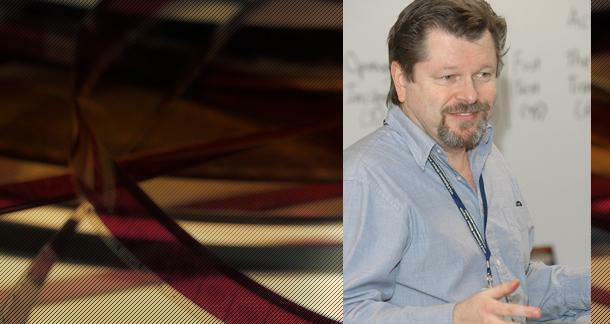 He is co-founder of Screenwriting Master Class, an online resource for writers. What attracted you to screenwriting? I was a lifelong movie fan and although I didn't have any training in screenwriting, I had been writing in some form since I was a teenager (short stories, songs, skits). Once I sold the spec script K-9 and started working in Hollywood, I immersed myself in everything related to screenplays, and to this day continue to learn new things about the craft. I am fascinated with the medium. The most common mistake: The script is half-baked. That's almost always the result of the writer not doing sufficient work in prep. Hence this class. Can you tell us, briefly, what you mean when you talk about breaking a story in prep? It means doing all the hard work a writer engages in to wrangle a story--concept, research, brainstorming, character development, plotting, theme, outlining--before typing FADE IN. Almost every professional screenwriter and all TV writers break their story in prep. Can you name some recent screenplays that really stood out to you, as great examples of the form? Almost any Pixar screenplay is a master class in the craft of storytelling, Up my favorite recent one. Bridesmaids is an excellent comedy script. Up in the Air and The Descendants are strong examples of adult dramas. I recently did a class in which we broke down The Dark Knight which does a remarkable job balancing character, action and a complex plot. Plus there are so many scripts on the Black List, Hollywood's top unproduced screenplays, worth reading such as Passengers by Jon Spaihts and Good Looking by Chris McCoy. What's the biggest mistake that new screenwriters make? Three things. (1) Writing stories that don't have a strong concept. The story concept and how the writer executes it in a script must feel like a movie. (2) Not enough focus on crafting unique, multidimensional characters. 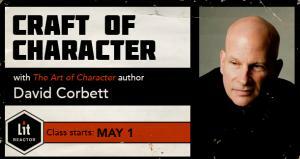 Great characters are what make words lift up off the page and come to life in the minds of a script reader. Poorly written characters come off as flat, stereotypical, vague, uninteresting, confusing, and so on. (3) The most common mistake: The script is half-baked. That's almost always the result of the writer not doing sufficient work in prep. Hence this class. Can the principles of screenwriting, or breaking a story in prep, be applied to different forms of writing, like novels or short stories? Absolutely. In fact, I've worked with novelists and playwrights in private one-on-one prep workshops. While the course focuses on screenplays, the principles apply to all narrative forms. Click here to learn more, and to sign up for the class.